As a hobby that many of us pick up in the back-country, I now have gigabytes of videos and photos to share with the broader community. I’m new to videography, so please forgive the shakiness in the video below. However, hopefully this post helps you understand the grandeur of the mountain and glacier areas that we often frequent. Enjoy! This entry was posted in Uncategorized on August 21, 2017 by Seth Campbell. 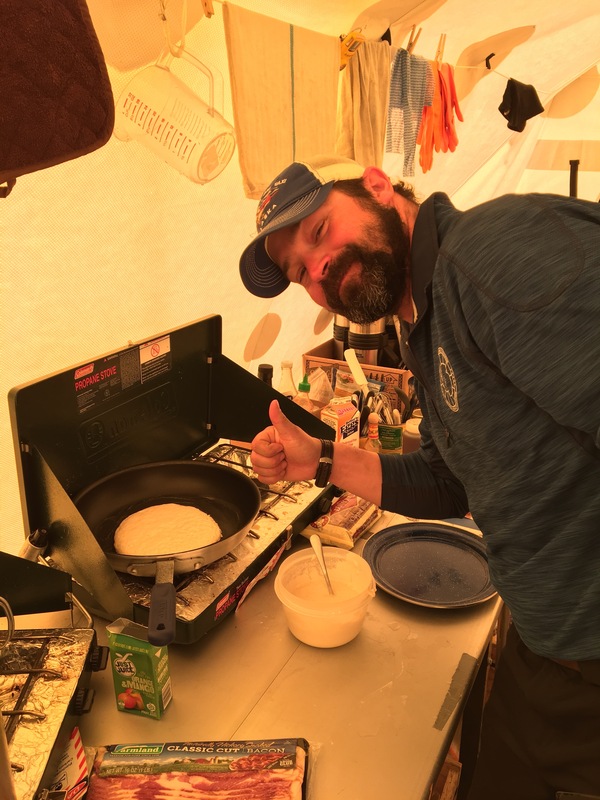 Eclipse Icefield and Mount Logan: Bad Weather, Good Reading, and Fun Science! I have lots of writing to catch up on, including three field project reports. I’m going to work in reverse though and will need a little more time to explain the science of each project because I have lots of catch up now that I’m back in internet land. But here is a teaser for this most recent trip to Eclipse Icefield and Mount Logan in the Yukon Territory of Canada. The terminus of kaskawulsh glacier near Kluane as we fly in towards Eclipse Icefield. Karl Kreutz and I are now sitting in the Vancouver Airport reminiscing about this field season to Eclipse Icefield in Kluane National Park of the Canadian Yukon for the second year in a row. We also visited another site that was new to both of us, Mount Logan. To be honest, of all the projects I’ve worked on over the past decade, Mount Logan was one of the most exciting. See, many people claim that Mount Logan represents the largest volume of any mountain in the world. Logan is also the second highest mountain in North America, second only to Denali, which Kristin and I climbed last year with our good friends Blaine and Patrick to measure ice thicknesses at the summit and install a new USGS survey marker. The exciting thing about Logan to me is that is far more remote and less publicized than Denali. It makes you feel like you are much more on your own. In fact, when Karl and I were waiting for our final flight back to Kluane National Park after our season, we were over 70 miles from the nearest person in any single direction across some of the most rugged mountains and glaciers in the world. To sit and wait for a plane ride knowing this, to me is more inspiring than sitting at similar remote sites in Antarctica where you are surrounded by flat white for hundreds of miles around. For some reason, the great Alaska and Canadian mountains have always been a mystical place for me. Their ruggedness, broken crevassed surfaces, and seemingly impenetrable boundaries, surrounded by tumbling rivers of glacial melt water, ice falls, and towering walls that in many cases reach over a mile high, can be quite humbling. Prior to the Mount Logan portion of our trip, Karl and I had two other students, Brittany Main and Will Kochtitzky from University of Ottawa and University of Maine, respectively, join us for about a week of work at Eclipse Icefield where we also spent a month last year. We collected some more radar data for both of their respective graduate work and a 17-m long ice core for one of Karl’s new graduate students who will start this fall at Maine. 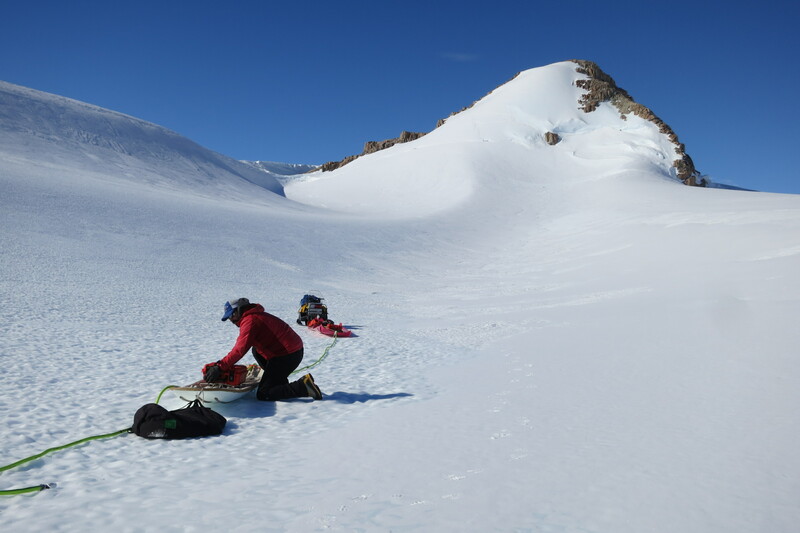 One particularly fine experience during our week with Brittany and Will included a 6-mile traverse down Donjek glacier towing three separate radar systems to measure ice thicknesses and look at layering within the snow and firn. 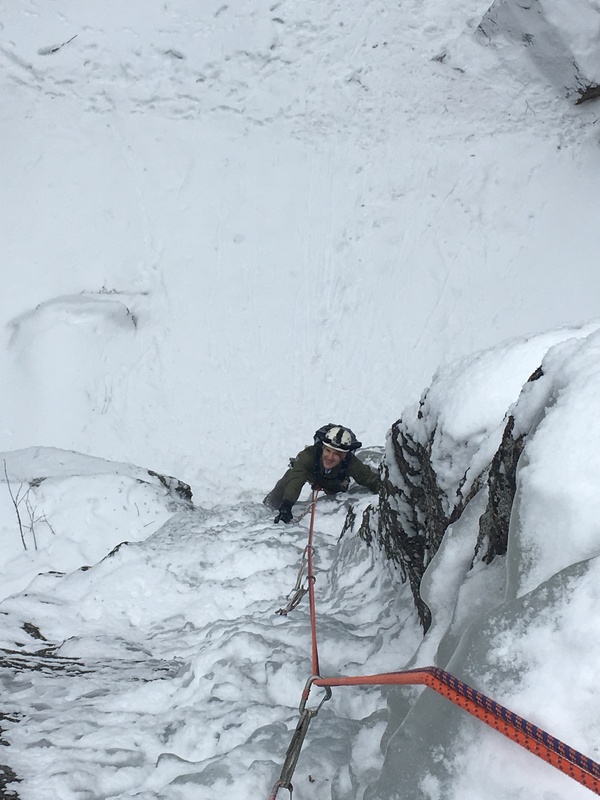 Radar results showed ice as deep as 750 meters along the traverse. We dropped about 3000 feet in elevation and then climbed back up to the ice divide, making a very long day for all of us. Brittany and Will were troopers and worked hard towing their respective radar systems all day long. We also had an artist, Leslie Sobel, join us for the week. Karl and I are looking forward to seeing results from her photographs and plan to work with Leslie on some outreach material in the future. Skiing with Will, Brittany, and Karl out to a rock outcrop near Eclipse Icefield to retrieve a temperature logger which recorded air temperatures through the winter. 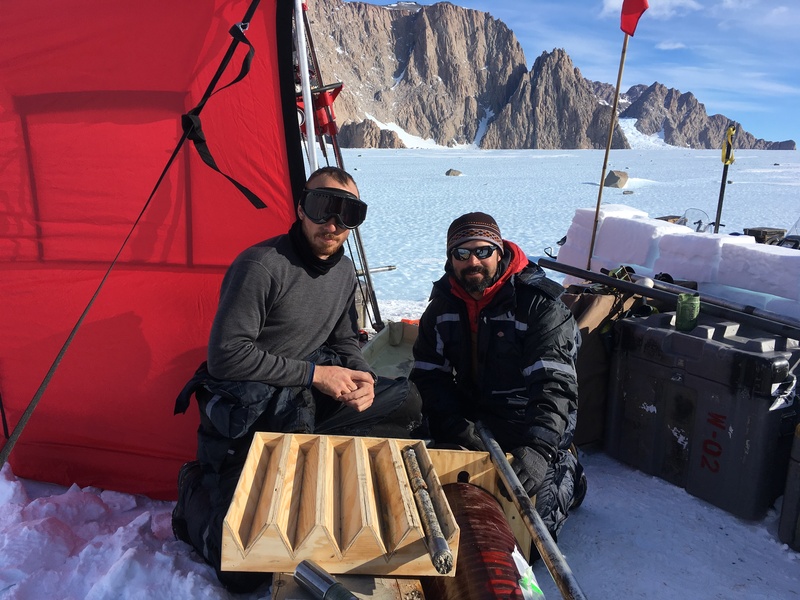 Karl and team processing core samples from the 17-m deep ice core. Sometimes when the weather was nice, we had some great sunsets! Prior to our departure from Eclipse Icefield (and during our time at the icefield for that matter) weather was consistently poor. In fact, relative to last year, it was horrible. 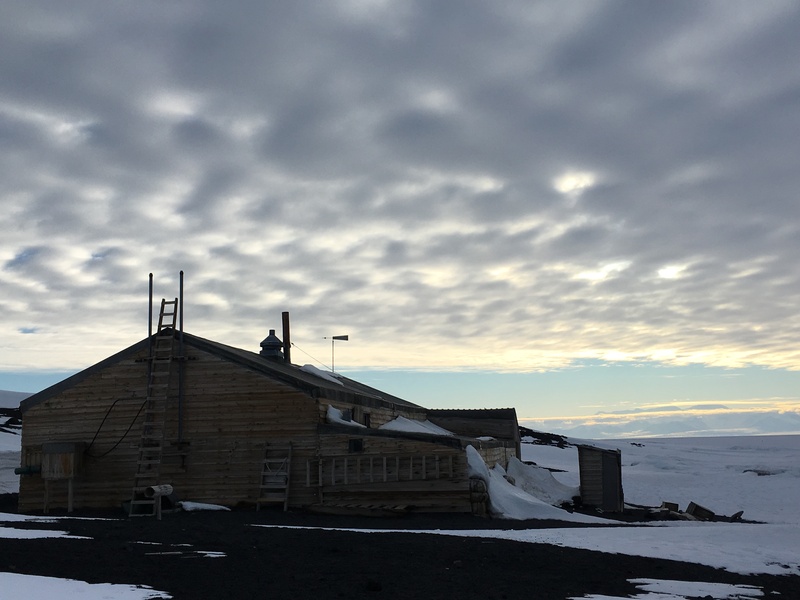 I think in 2016 we had a couple non-working days during the entire month at the site, whereas this year, we worked maybe ½ of the days because of poor visibility, wind, and snow. 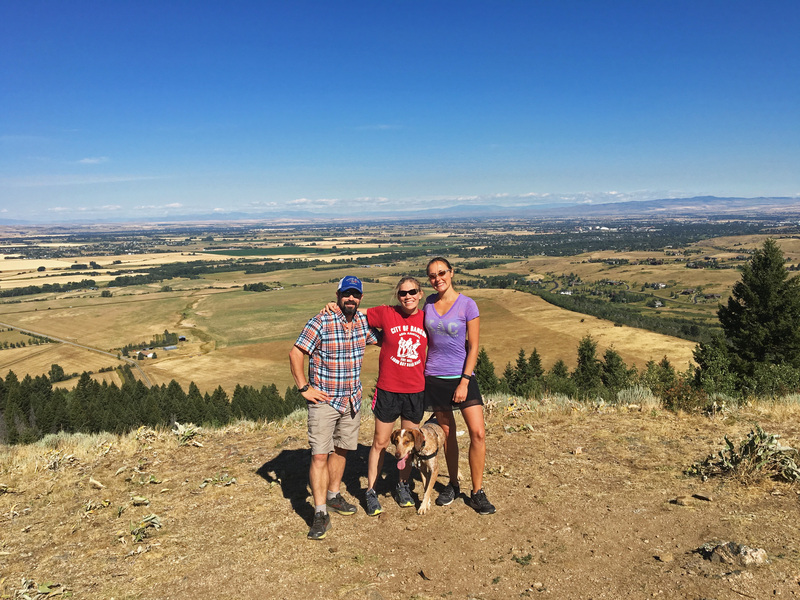 After Will, Brittany, and Leslie departed, Karl and I were planning to fly immediately to Mount Logan to meet two others, Adam Toolanen and Aaron Chesler. 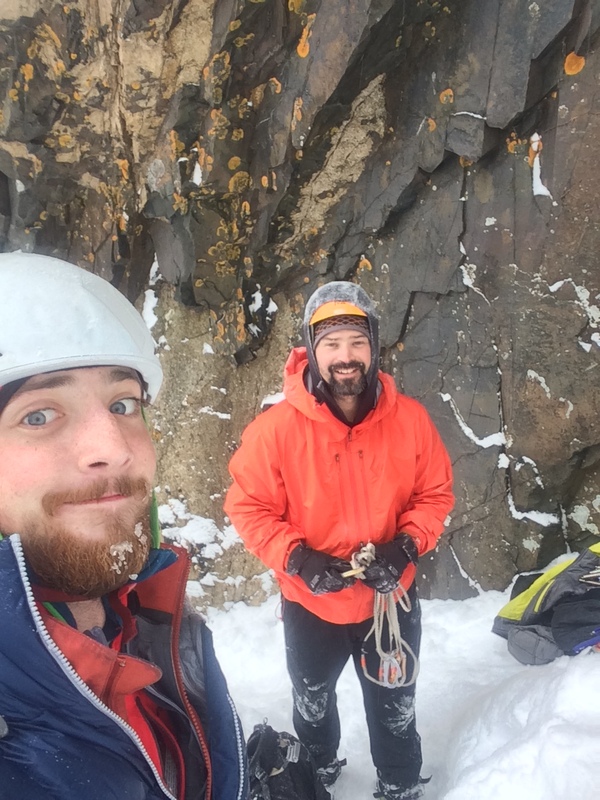 Both I met as students of mine on the Juneau Icefield Research Program in 2011, and both have been steadily moving up in the world with their education and career. 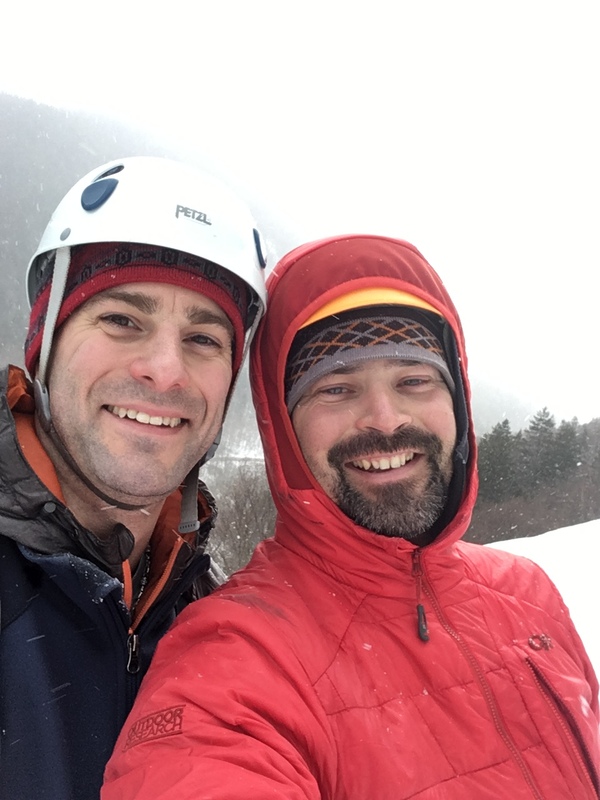 Chesler is now a PhD student working with Karl and other professors at Maine while Adam completed his degree in Aerospace Engineering and just completed training as a commercial helicopter pilot. Unfortunately, weather had different plans for meeting Adam and Chesler immediately. Karl and I waited for the weather to clear for at least 3 days before we met with Chesler and Adam. After a few feet of snow, we were transported by Icefield Discovery plane to Mount Logan to meet the others. I wish I could say that was the end of the poor weather but it wasn’t. 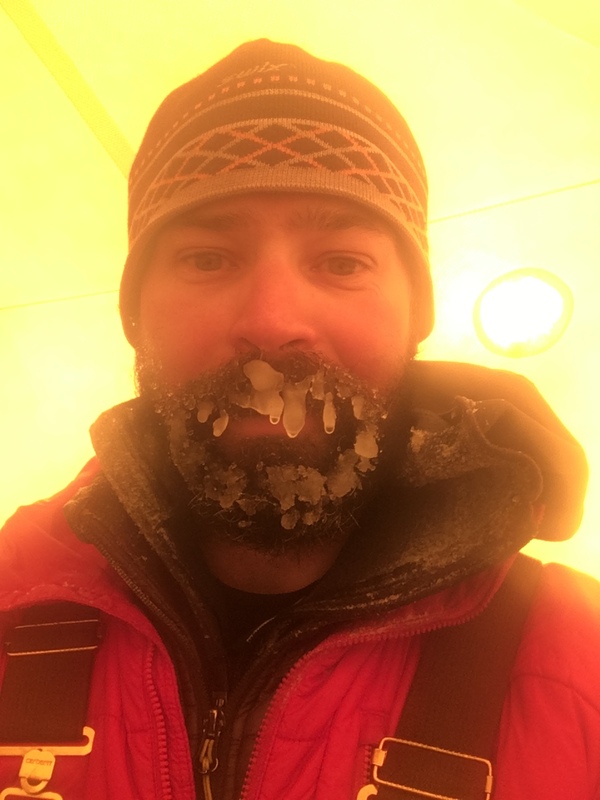 We averaged about 3 to 5 days of poor weather to every one good day which resulted in completing about ½ of the objectives on Mount Logan unfortunately. We were ultimately able to reach King Col at 13500 feet above sea level where a Japanese team had extracted an ice core from in 2002. 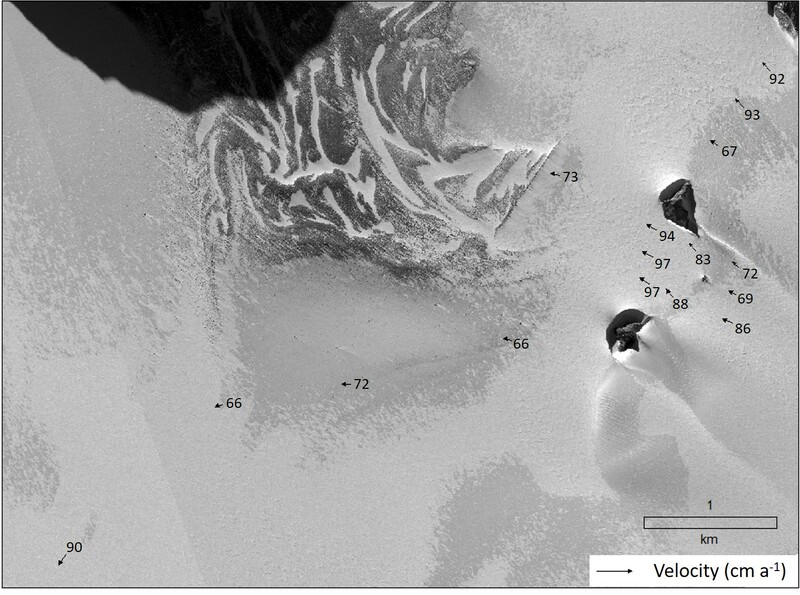 At this site, we collected about 4.5 km of radar data (see attached unprocessed example) collected some snow samples in a pit that Karl dug. 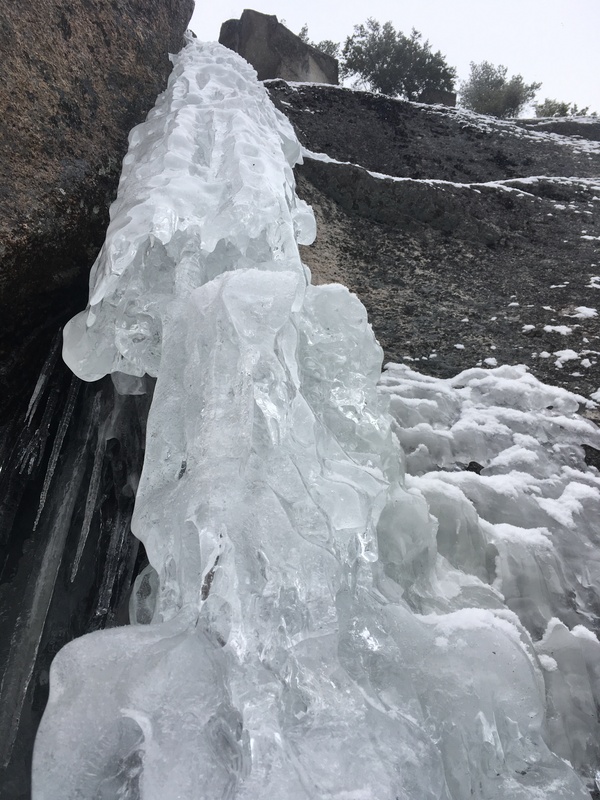 The radar showed over 250 meters of ice at its deepest location which was impressive to us considering the site was only 500 meters wide from valley wall to valley wall! Aaron Chesler on a ridge climb we used near base camp to help everyone acclimatize to the higher elevations. Looking up glacier towards King Col from Camp 1 at 10800 feet above sea level. King Col is at the saddle in this photo below the sun. It may not look like it, but that little hill is almost 3000 feet in elevation gain! A Panorama of King Peak (left of the sun) and Mount Logan (right of the sun) from the southern side of King Col at 13500 feet above sea level, looking north. BEAUTIFUL! King Peak! Impressive mountain if it wasn’t for the fact that its attached to the second highest mountain in North America! One positive for the bad weather is that I read several great books while being tent-bound. Over the past few years I’ve been chugging through many classics with hopes of redeeming myself to my awesome high school English and literature teachers. I may not have been as studious and focused in high school as I am now so I hope Mrs. Stafford and Mr. Walsh forgive me for my younger age and are proud to know I’m reading or re-reading many classics now! Over the past few months I’ve read, amongst other less well known books, To Kill a Mockingbird and Harper Lee’s sequel that she wrote before Mockingbird but didn’t publish until the year before her death, Go set a Watchman, Old Man and the Sea, Slaughterhouse 5, Cats Cradle, Catcher and the Rye, 1984, The Illiad, and about ½ of Catch-22. I’m having a hard time getting into the last book! Other great reads which relate a bit more to our location were Arctic Dreams by Barry Lopez (who doesn’t want to read about Arctic exploration, Arctic societies, Narwhals, and Polar Bears!) and Escape from Lucania, a classic true story mountaineering epic about Bob Bate’s and Brad Washburn’s traverse to the summit and off nearby Mount’s Lucania and Steele, and back to Kluane on foot over 125 miles when their plane didn’t return for them because the snowpack was too unstable to land on. 100 MHz radar profile across King Col showing ice thicknesses of the glacier to over 250 meters deep. Lots of crazy stuff in the shallower snow and ice layers that Ill study and try to explain later! Chesler and Adam extracting a 13.5 m deep core on the King Trench Route. Karl’s new student will analyze this core along with samples from several other locations across Canada and Alaska for her MS degree starting in September. Pickup by Icefield Discovery at the end of our field season on Logan. Thanks Sian, Lance, and Tom! A lake on Kaskawulsh Glacier that our colleague Gwenn Flowers (from Simon Fraser University) and team are studying in Kluane. They are curious about the timing of lake drainage and where that water goes when it drains under the ice. Anyway, Ill dive a little more into the sciences and science results from our projects once I have a little more free time this summer, but for now, enjoy some great photos of this year’s research at Eclipse and Logan! 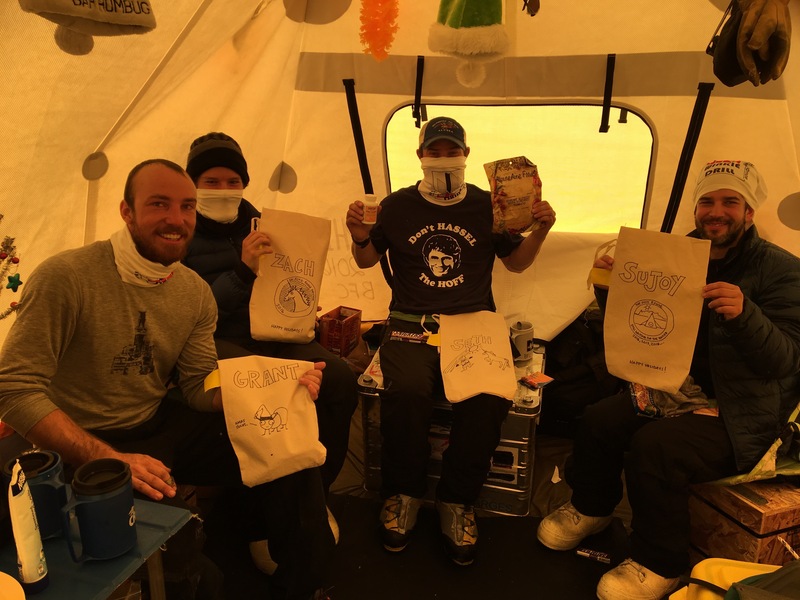 Thanks so much to Will, Brittany, Leslie, Adam, Chesler, the team at Icefield Discovery and Kluane, and Kluane National Park for your help this season! Adam, Karl, myself, and Chesler at the Whitehorse Airport, end of the season! This entry was posted in Uncategorized on June 13, 2017 by Seth Campbell. From Alaska to Antarctica and Several Places In Between! 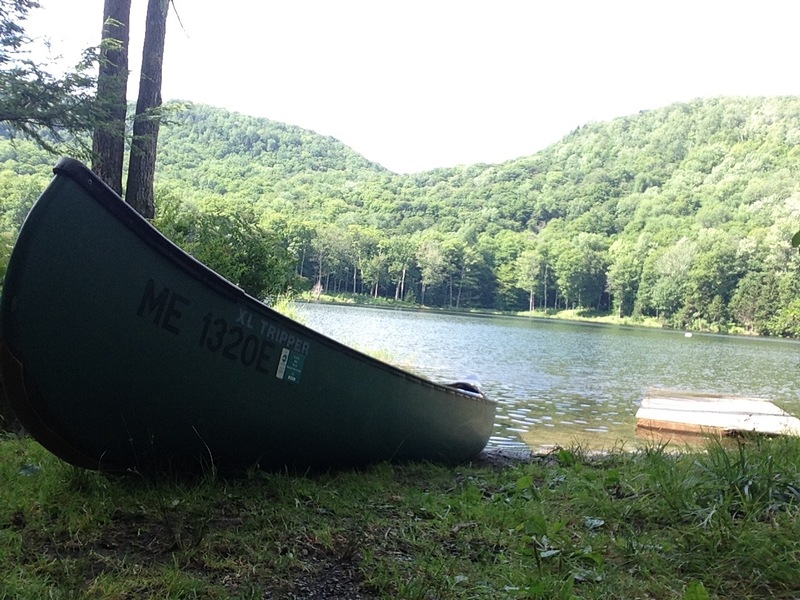 It’s been quite some time since I’ve blogged about my on-goings. Since climbing Denali in May of 2016 with Kristin, Blaine, and Patrick, I’ve taught a field geology-geophysics course for UMaine in New Hampshire and Vermont which included several lake surveys with radar by canoe; moved to Seattle for 1-2 years to work with an amazing group of scientists at the University of Washington Department of Earth and Space Sciences; had many fishing, climbing, and other outdoor weekend adventures in Olympic National Park, Mt Rainier National Park, and the Cascades; been to two weddings (one of which I performed the ceremony of for my best friend, Jacob, and his amazing wife Jesse! 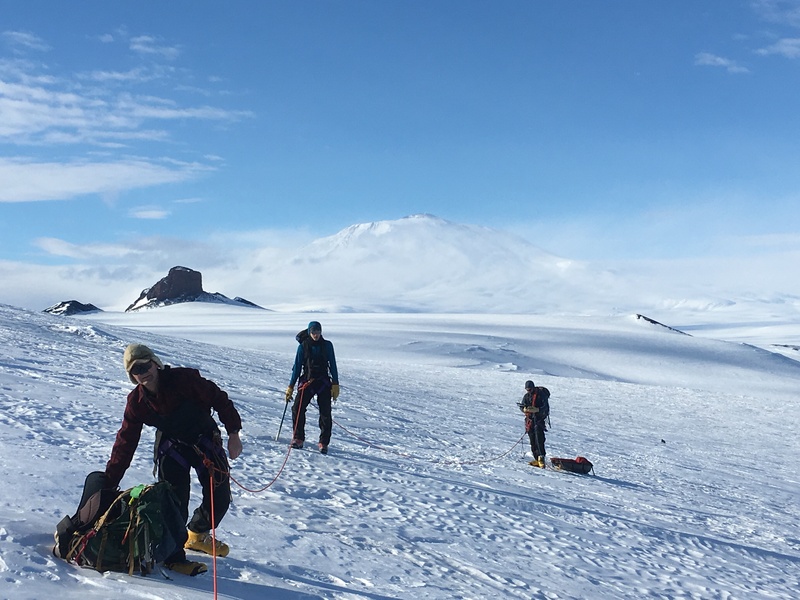 ); returned to the Eastern Alaska Range in September for a short two day field season of GPS measurements; been to Antarctica conducting research on two different projects I’m involved in; and climbed in New Hampshire for a few days of relaxation after my winter field work. Now I’m back in Seattle preparing for my next field season in Eastern Alaska with the UMaine and Dartmouth crew. I missed Thanksgiving, Christmas, and New Years away from my wonderful family. We have very sadly lost some friends and family in the world recently. But, I also have some wonderful memories from the past nine months. 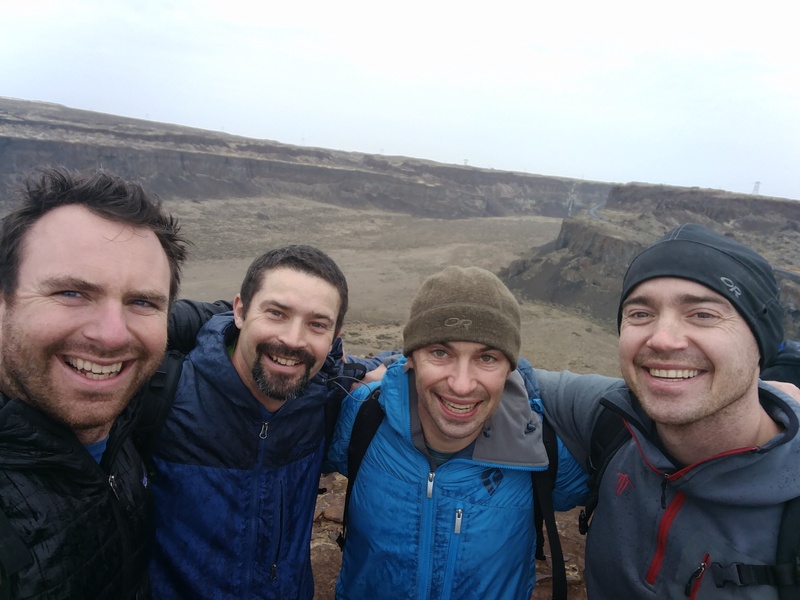 Instead of a long blog today, I thought a bunch of photos/videos that reflect where I’ve traveled, outdoor adventures I’ve pursued, the friends I’ve spent time with, and some science I’ve completed, would be more fun for people to look at. Enjoy! 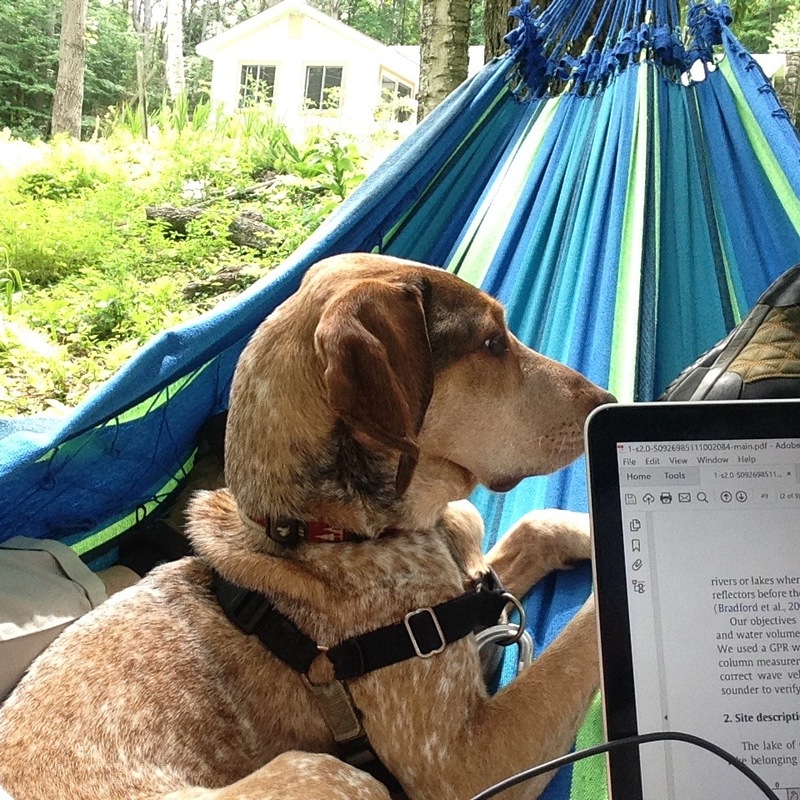 Relaxing with Kinley in the hammock after a spring and early summer full of field work! 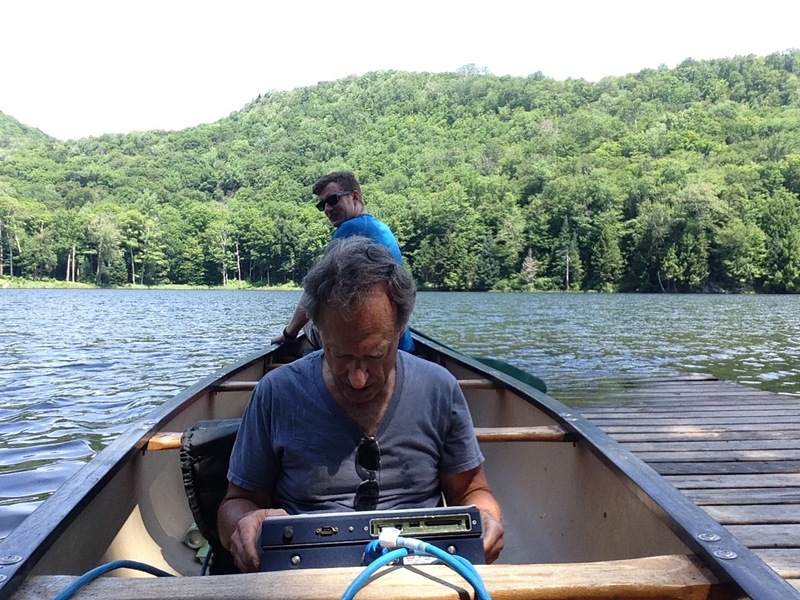 Getting ready to conduct a radar survey of lake bottom stratigraphy with my long time mentor, Steve Arcone, and a student from UMaine. Perfect day to be on the water! Steve doing what he is the master of (GPR)! Tom and I getting ready to paddle. 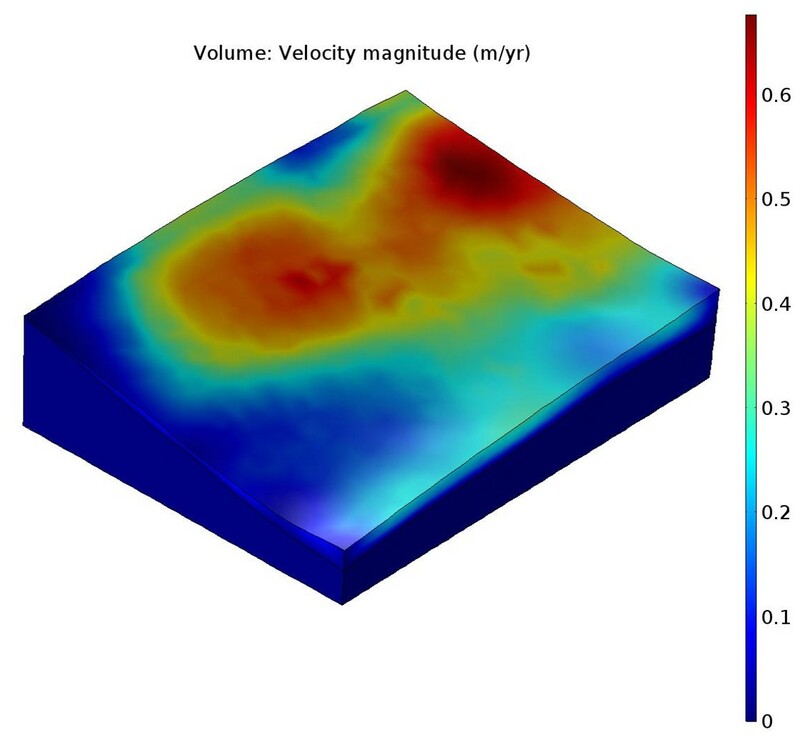 A radar profile collected across a lake in New Hampshire showing water depth, layered sediments, and bedrock or till under the sediments. The sediments re probably made up of fine grained sands and silts deposited since the last glaciers retreated in this area over 12000 years ago. 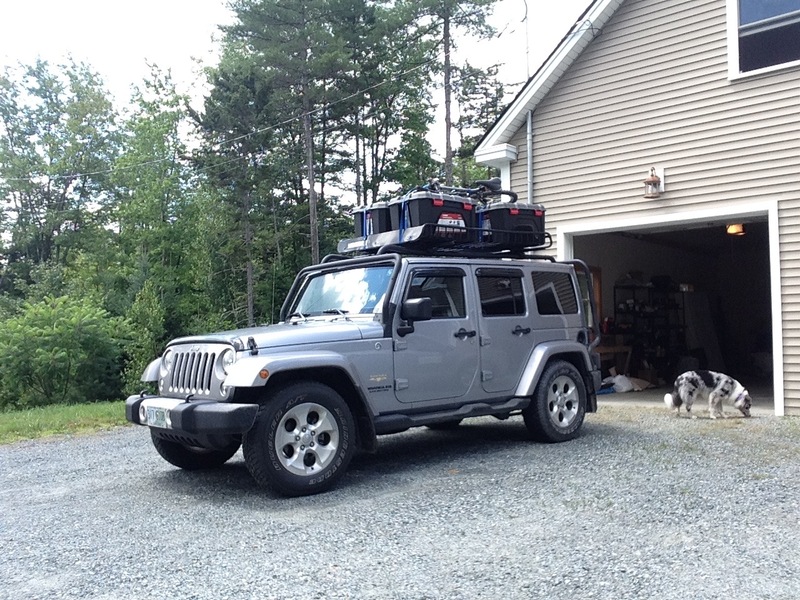 Jeep loaded down with clothes, bicycle, books, and outdoor gear, ready for the move from New Hampshire to Seattle! 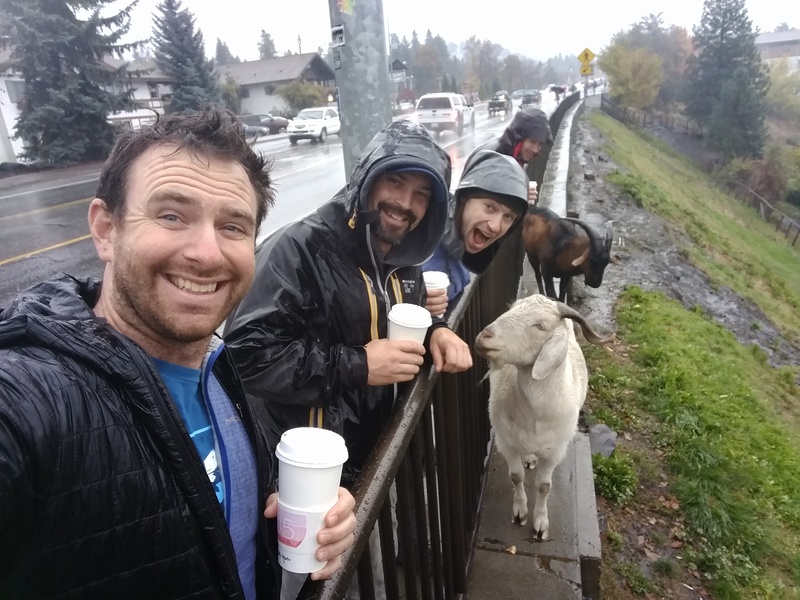 Some of my best friends that we were able to visit during our cross country road trip! 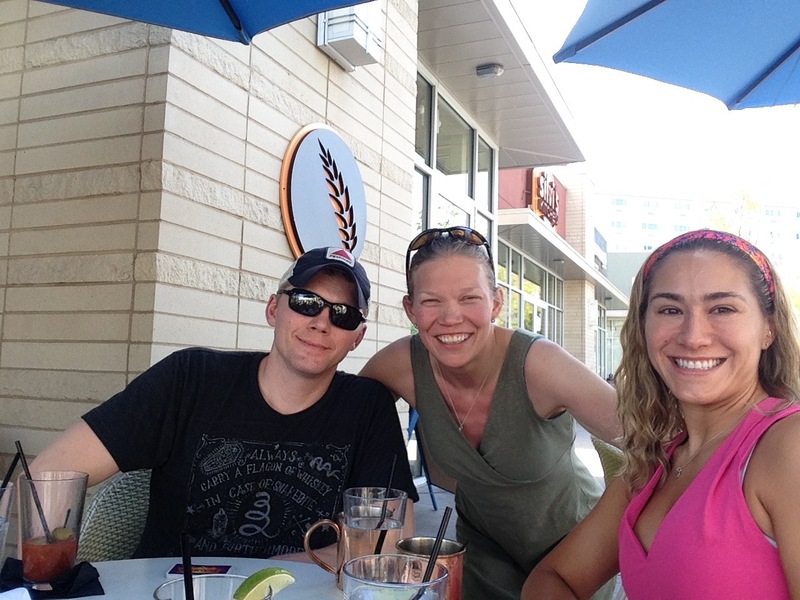 Jacob (left), Kristin, and Jesse (right). 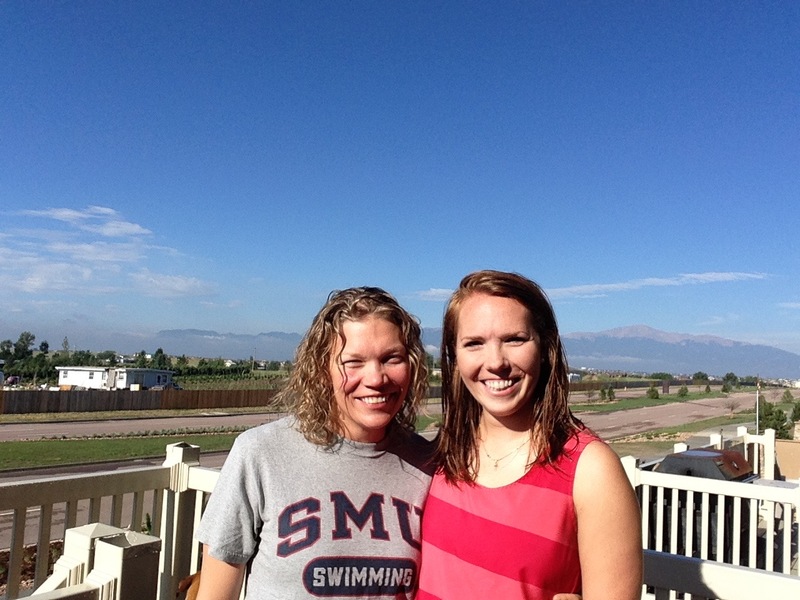 Kristin and I were also able to visit her best friend, Abbey, for an evening during the road trip! 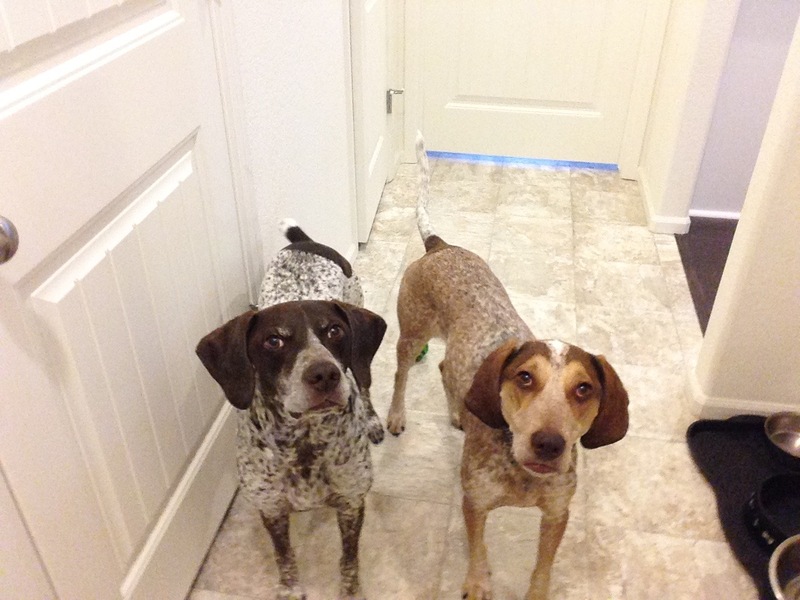 Kinley (right) has a long lost brother, Abbey’s puppy (on the left)! Kristin’s prior office mate from Dartmouth, Lee, just happened to be in Bozeman, Montana when we were driving across country! Found a beautiful hike to spend an afternoon with her. This was also a great excuse to get Kinley out to stretch her legs! Arrived in Seattle, ready to roll. BUT, work doesn’t mean I can’t get out and play in the mountains on the weekend! Here, my good friend Brad tops out on a climb we completed in the Cascades. Brad and I have been on five field research seasons together so far and have another planned this spring! Friends from Maine! 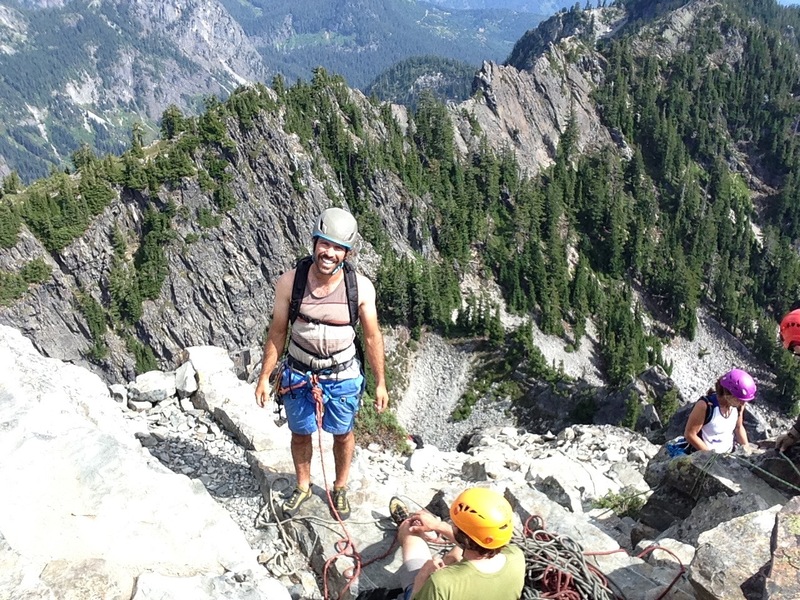 Scott Higgins, Tom and Dave Cassidy paid me a visit in Seattle to climb some in the Cascades. Too bad the weather was not great but we still had fun. Well… when its raining we find something else to do…. Like go check out Leavenworth during Octoberfest! 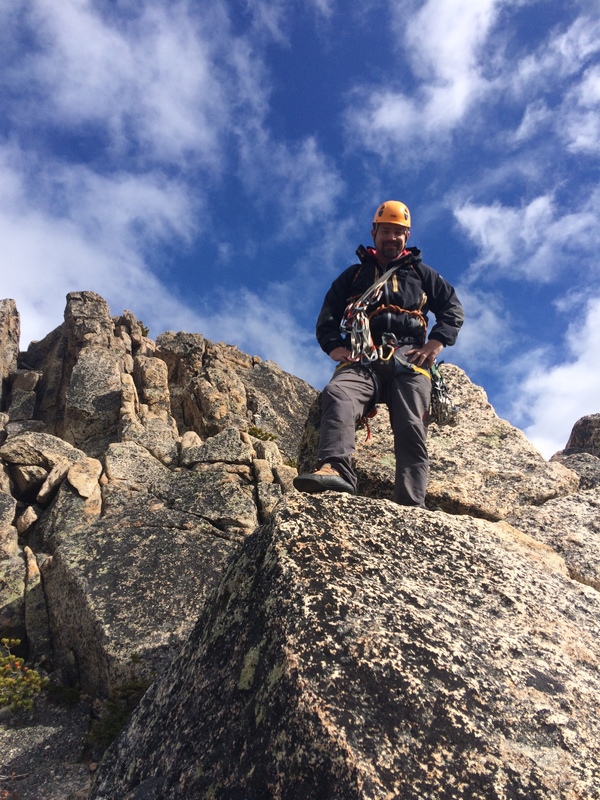 Climbing at Washington Pass with some Juneau Icefield Research Program friends: Scott and Isabel! Washington Pass is a pretty amazing area! 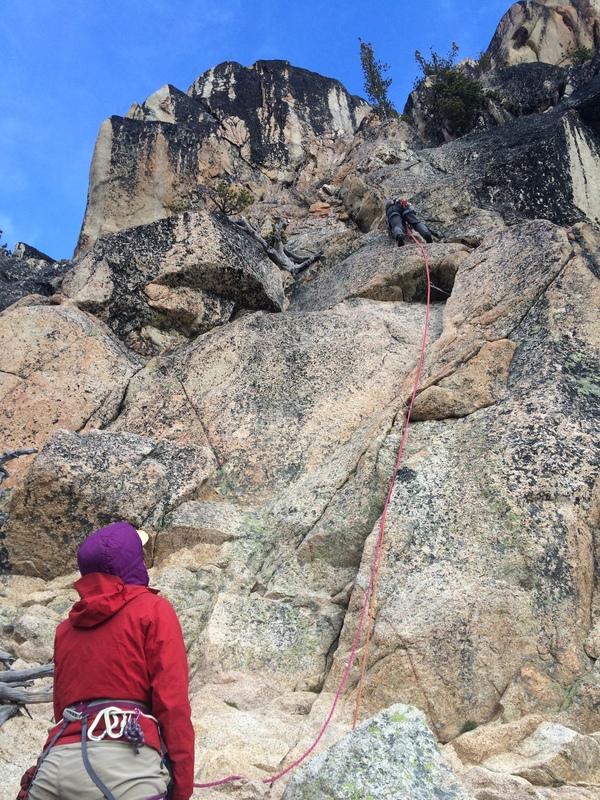 Classic granite on an amazing fall day in the Cascades! Ok…. so I have actually done LOTS of work this year as well… in fact, about 6 months of time away from home on field work. 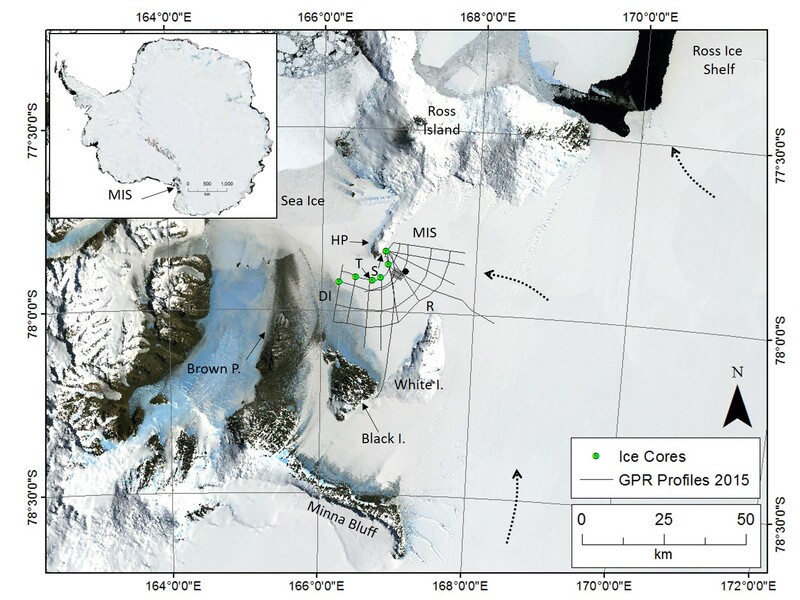 This is a map of McMurdo Ice Shelf in Antarctica. Last year we collected about 1300 km of radar in the grid on this map to look and the internal structure of the shelf. The next several photos are figures from the radar data we collected that I have finally processed. This radar profile was collected from the sea ice onto McMurdo Ice Shelf. You can see lots of cool internal features but too much to explain fully here. feel free to email me though if you have questions about the profile! Another cool radar profile with TON’s of cool glacier-ocean-ice flow features occurring here. And another….. this profile crossed the convergence of two glaciers basically! Pretty cool to see where the ice mass from one glacier ends and the ice mass of another glacier begins! Fractures in the bottom of the ice shelf show up as these hyperbolas. Another profile taken across the transition from sea ice onto the ice shelf. Only this profile shows a bunch of folds in the ice from land that the ice is obliquely running into. a to a’ on this photo (courtesy of Ben Roth) shows about where the last radar profile was collected. You can also see the folds on the surface as the ice shelf moves towards the open ocean but also pins up against hut Point Peninsula (which causes the ice to fold). Ht Point Peninsula is an interesting location. 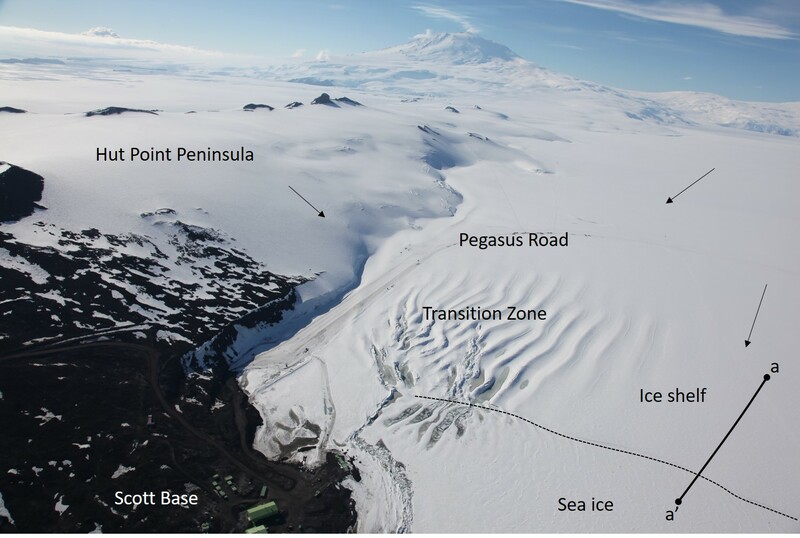 This is where vehicles from McMurdo and Scott Base access McMurdo Ice Shelf where the runways are located for transporting people to and from the ice. The folding at this location is worrisome to the folks in charge of McMurdo operations so we are studying the neighboring hillside to see 1) how much ice is there and 2) how fast that ice is moving down hill. 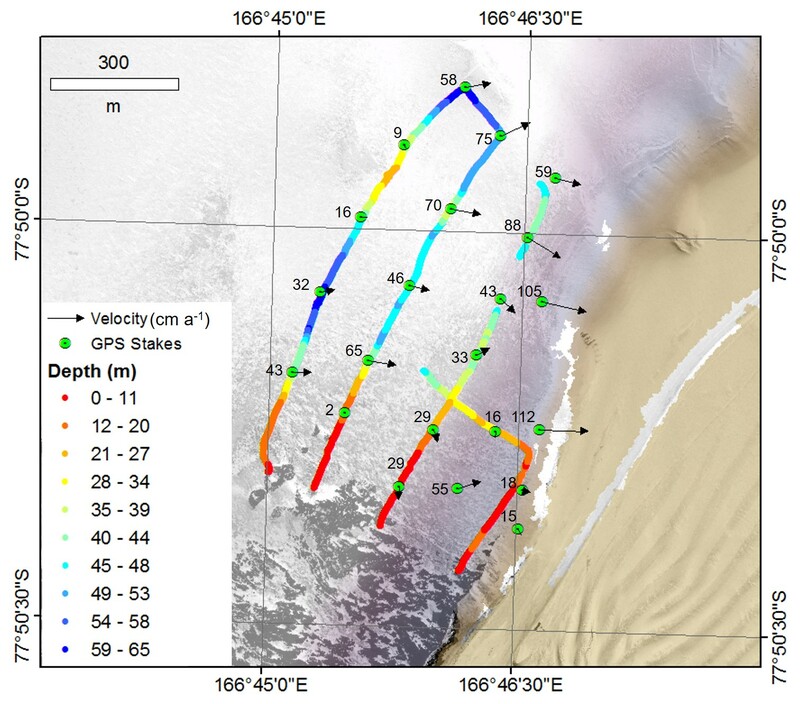 We are doing this to determine if we may be able to put a road on the hillside that accesses the ice shelf further up-glacier and bypasses the major folding of the ice shelf in this area. 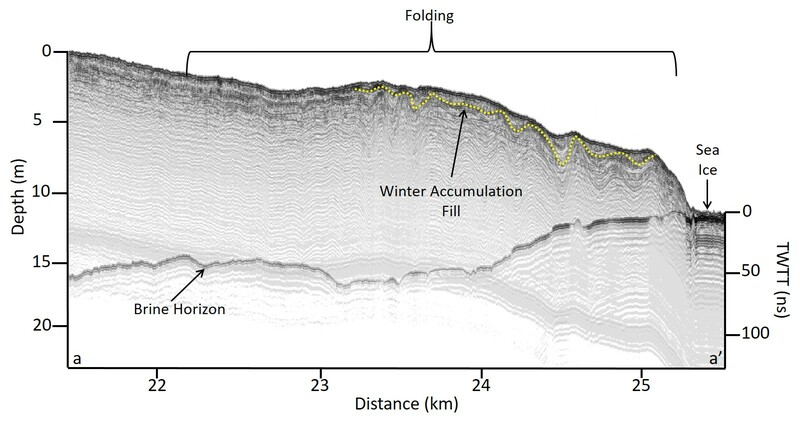 This figure shows ice depths on the hill side and ice flow velocities measured using very high precision GPS survey instruments. I am also modeling the ice flow on the hillside. This is a block model of the hill based on ice thicknesses determined by radar and surface topography determined from a high resolution digital elevation model. The basics: my numerical model matches observations pretty well. BUT lots more to add to the model! Collecting GPS information for ice flow velocities (shown a couple photos back) on the Hut Point hillside. Colleagues helping me collect radar ice thickness measurements on the Hut Point Hillside. Thanks John, Trevor, and Perry! (notice we are roped up to keep us safe from any potential crevasses buried under the snowpack). Also notice Mount Erebus and Castle Rock in the background, two iconic features of Ross Island. 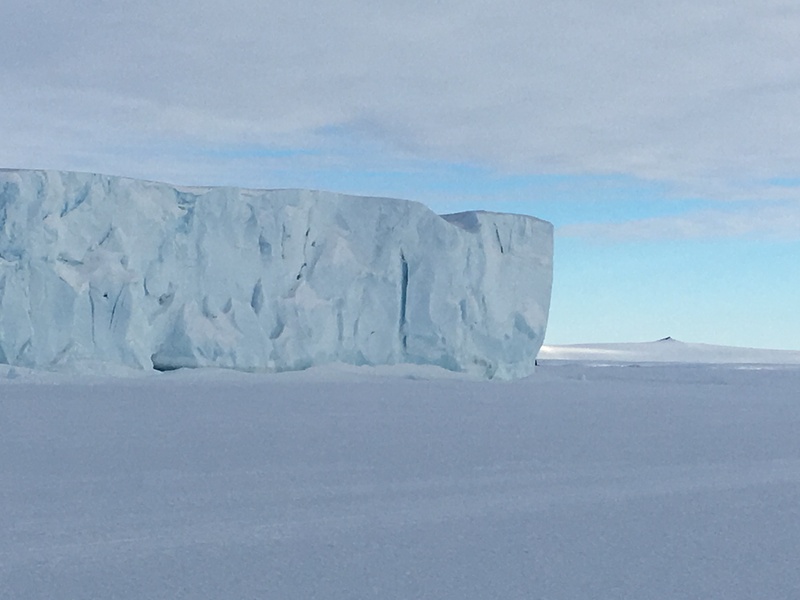 I finished my first Antarctic project on time… so, with some evenings of down time, I was able to take a rec trip to see some of the other local sights. Here is an iceberg frozen into the sea ice. Scotts Hut at Cape Evans which was used by part of Sir Robert Falcon Scott’s team between 1911 and 1913. Pretty amazing history here and well worth researching yourselves. Recommended reads include: Scotts Journals which chronicle his attempt to reach the pole, right up to his death at the very end; and “Endurance: Skackletons Incredible Voyage” which chronicles Shackletons attempt to reach the pole but getting stuck in pack ice instead! Just some cool wooden crates by Scotts Hut! Zoom of a little guy wandering around on the sea ice while we were on our way back from Cape Evans! Amazing little guy! A video of Mr. Penguin paralleling the road. We didn’t want to disturb him with the vehicle so we stopped, and let him walk on by as he was travelling to who knows where! 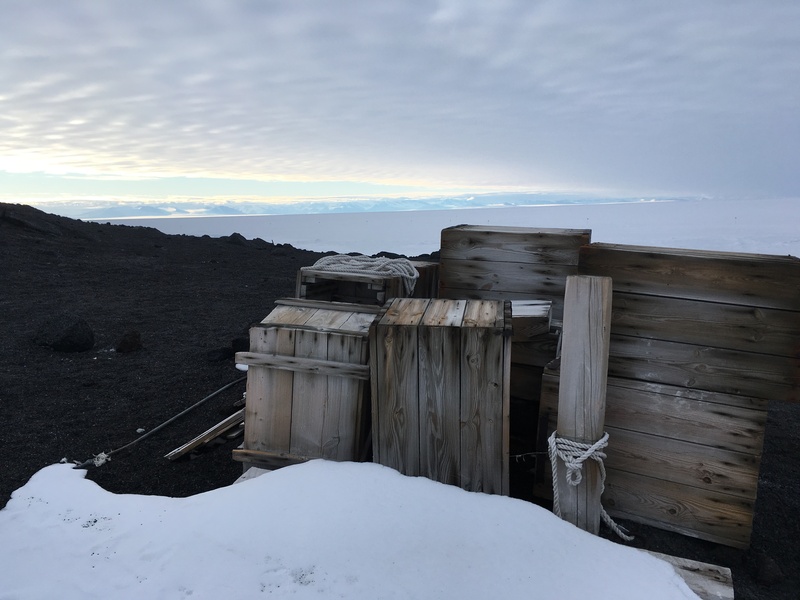 A video taken from Observation Hill which is situated in between Scott Base and McMurdo Station. In the video you can see Mount Erebus, Castle Rock, McMurdo Station, the sea ice, the ice shelf-sea ice transition, the Royal Society Range across the sea ice which is located in the dry valleys, White and Black Island, and the McMurdo Ice Shelf. Amazing day up there with colleagues, Ryan, Zoe, and Fegy! 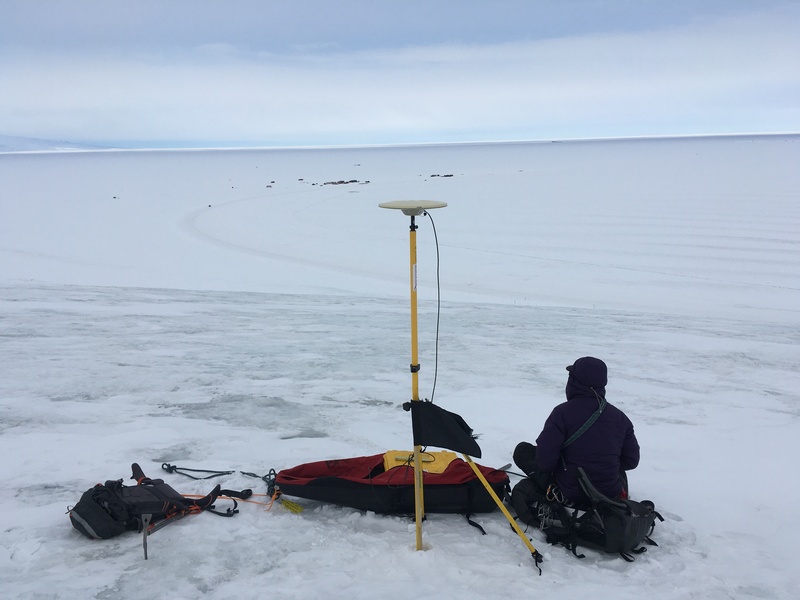 A video panning around while surveying the Hut Point Hillside looking towards the significant folds of ice at the ice shelf sea ice transition. On to the next project! Ohio Range, or what we called the “No-Fly-O” Range because it is a notoriously difficult place to reach. 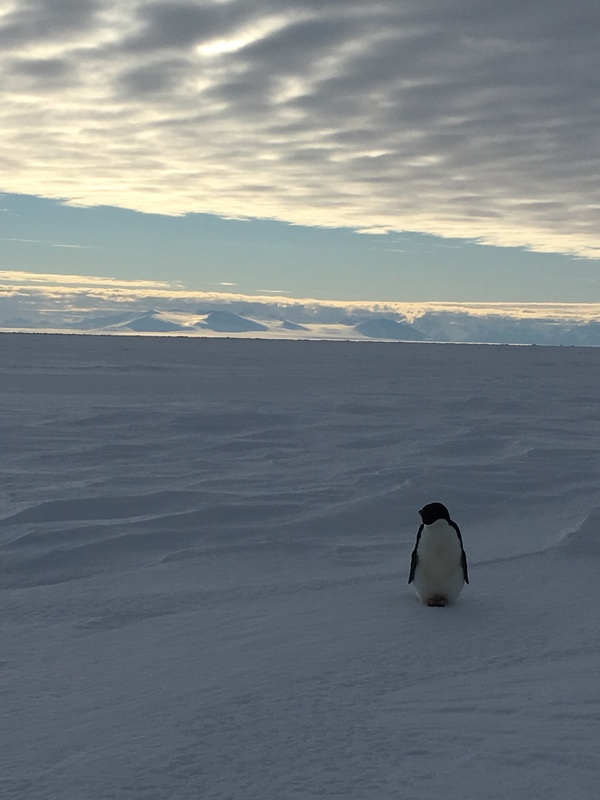 About 300 miles from South Pole in a region where weather converges from the East Antarctic Plateau and storms coming from the coast across West Antarctica. 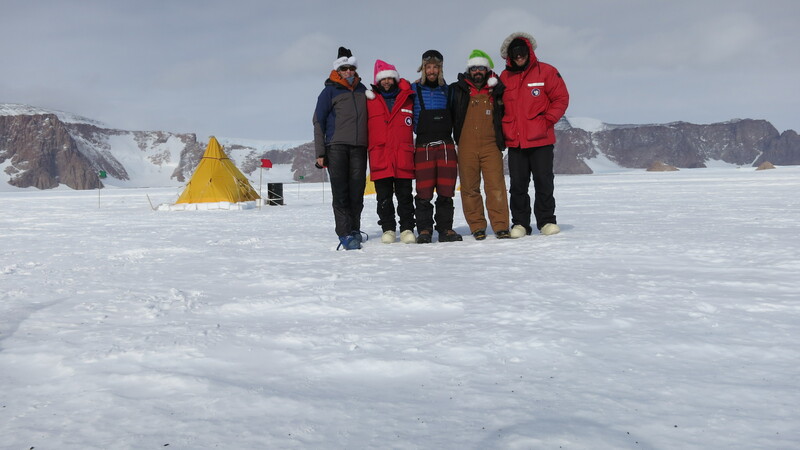 BUT, our pilots and NSF support folks did an amazing job this year and we got out to our study site quickly! The arrows are velocities measured using GPS stakes installed last year and remeasured this year. 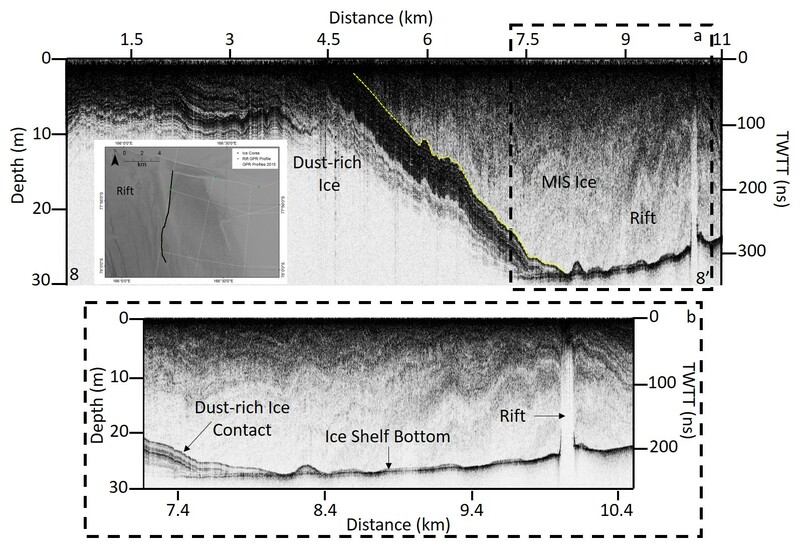 A really cool radar profile showing bedrock below ice, as well as ice rich till and contacts between firn and blue ice…. yep… lots going on so I will avoid describing all the details… just take if from me that this profile is really cool! During this project I officially started working with repeat images taken at different angles to build high resolution digital elevation models. The technique is known as Structure from Motion (look it up online!). This is one outcrop that I created a high resolution digital elevation model of. papa_north If you click on this PDF to the left titled papa_north and enable all functionality on it, you should be able to rotate the photo within the PDF to different orientations and actually see the Digital Elevation Model I created using Structure from Motion techniques on about 100 photos I took of the outcrop from different angles. Melt only 300 miles from South Pole! Wow!!!! The team at the Ohio Range: Jen, Sujoy, Grant, myself, and Zach. Grant and I in front of the very first rock core collected under glacier ice. 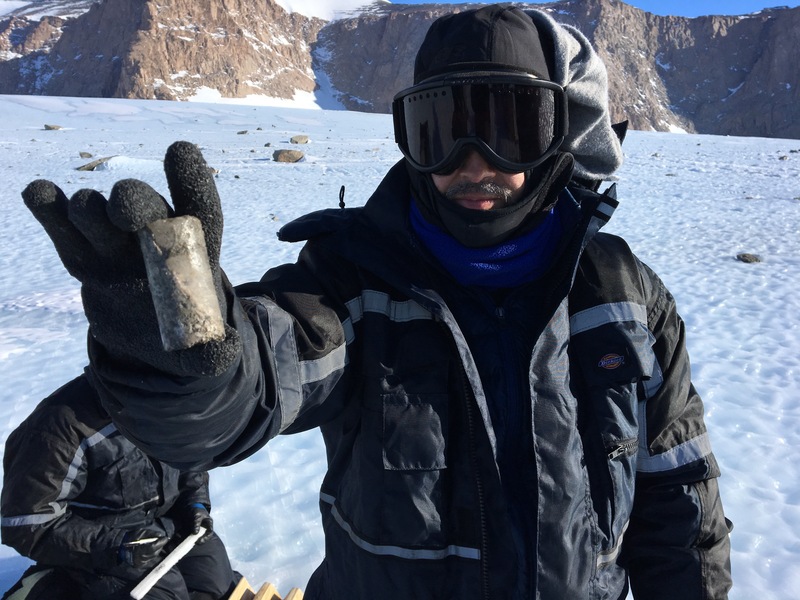 Sujoy and Zac will use this rock core with some specific chemical methods to determine the last time it was exposed to sun (i.e. no ice cover). We collected 5 rock samples like this from under the ice. 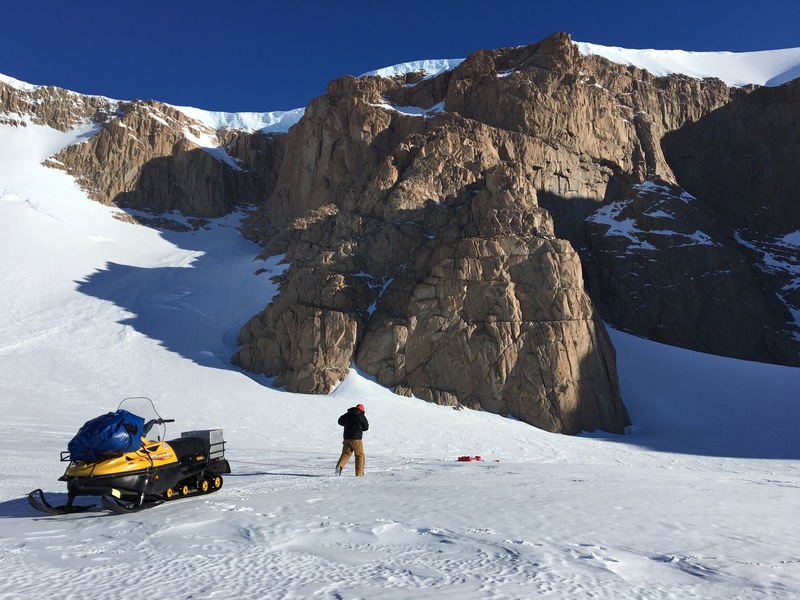 Results from this project will help constrain estimates of glacier change over time. 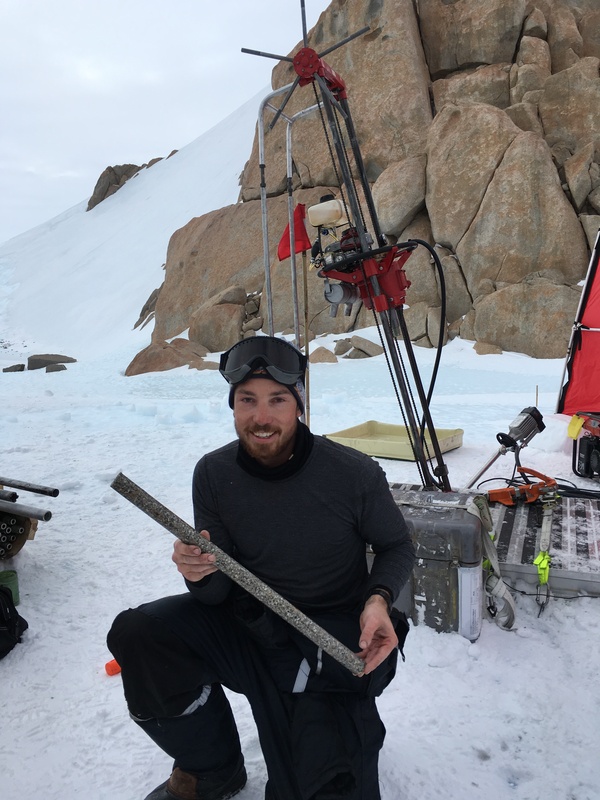 Grant holding a really nice (53 cm long) rock core that he was able to successfully drill for our team! 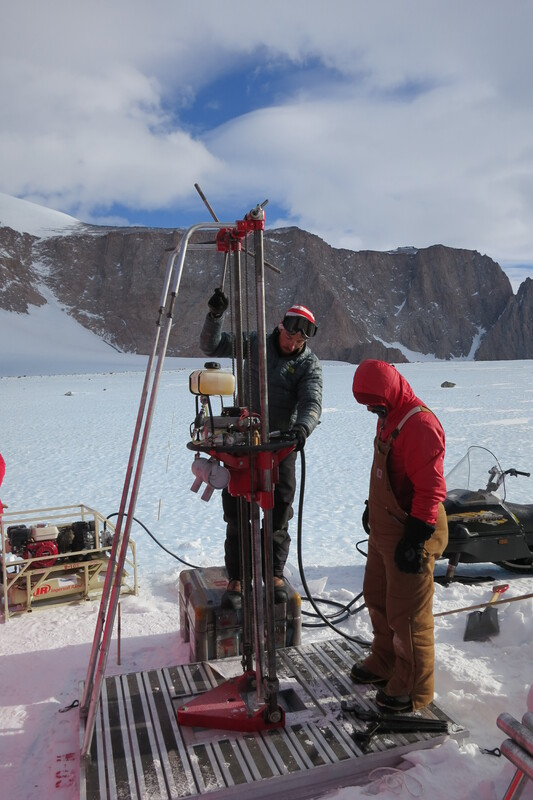 Drilling Setup to collect the first rock core under ice! Sujoy holding a really cool piece of core. 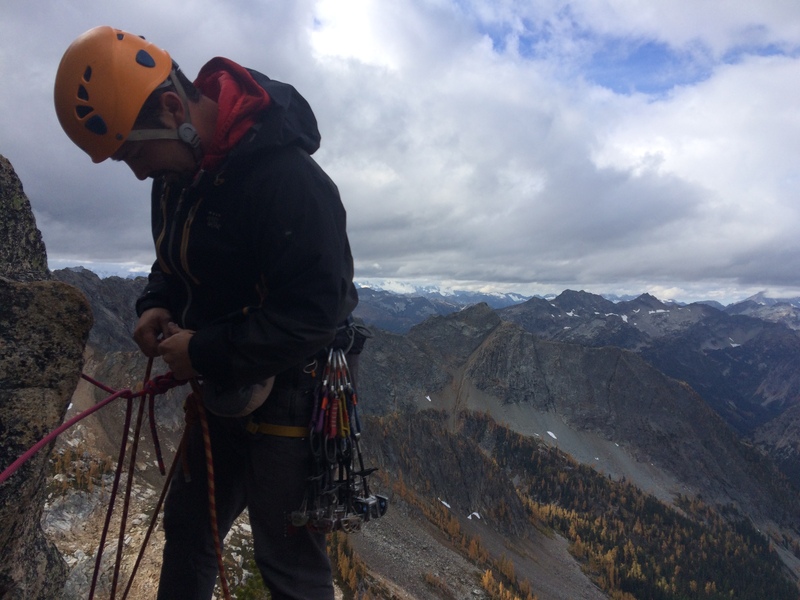 We drilled into the rock across a relatively steep face (40 degrees or so). This core has ice on the top right side and rock on the bottom left. Pretty common to be windy in the Ohio Range! 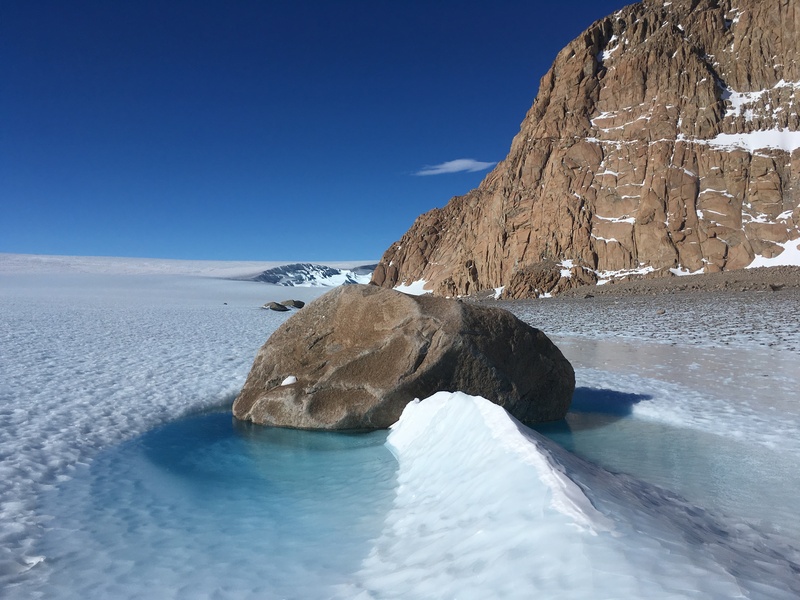 Jen Erxleben took this hilarious timelapse video of me trying to walk gracefully, without crampons or ice creepers, on the heavily scalloped blue ice…. 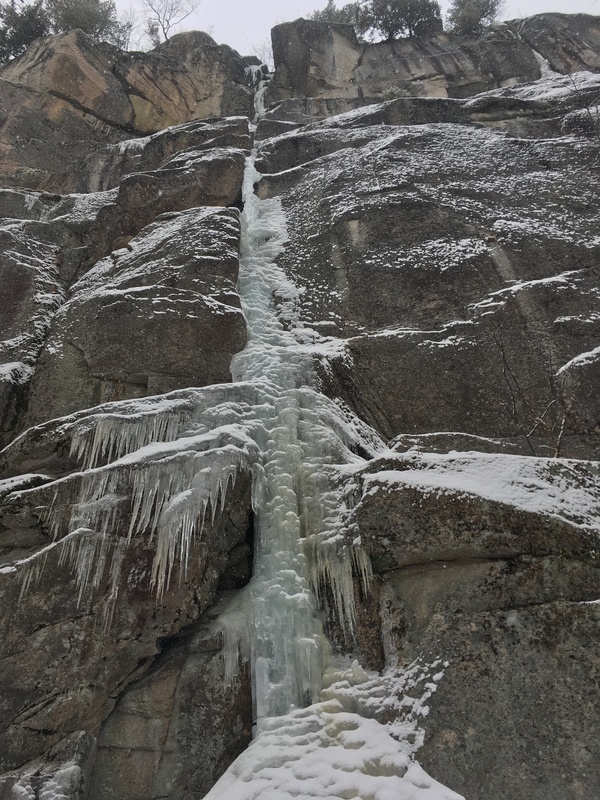 Well… the crux was a little too thin and delaminated for me to be psyched about climbing it, but the first pitch was a blast as always! Dr. Bromley enjoying the ice! 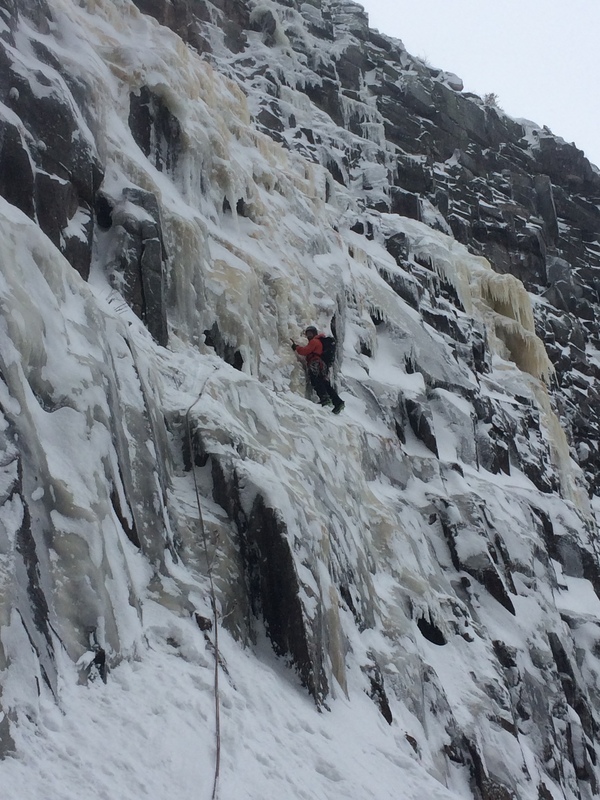 Dr. Bromley and I discussing proposal ideas over a “day off” ice climbing! Fafnir on Cannon Cliff… what an amazing place! 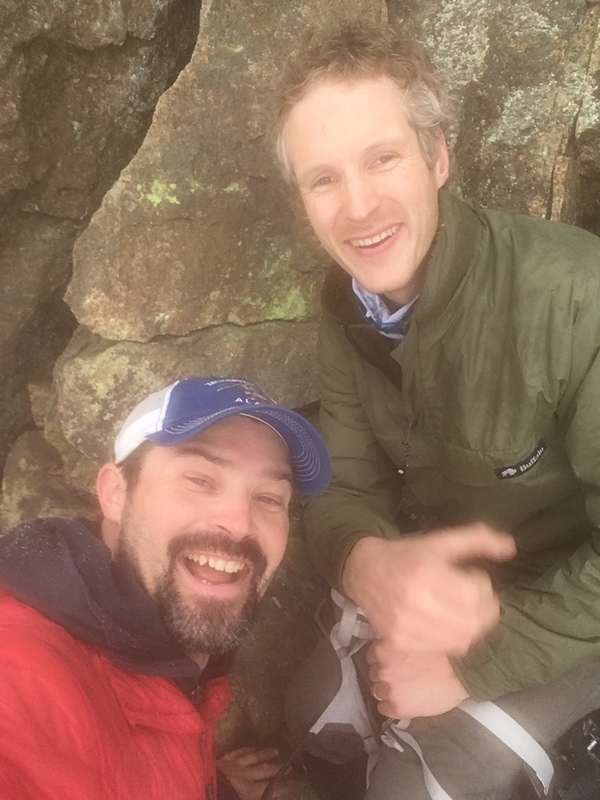 Fun to catch up with past University of Maine student and friend, Brian O’Leary, for a day of climbing at Cannon Cliff! Mr. Ben Winn, Engineer extraordinaire, Computer Science wizard, and “off the couch” mutant climber…. Always fun to get out with him! Well…. Bring on the next winter adventure! This entry was posted in Uncategorized on March 1, 2017 by Seth Campbell.